The new Nikon D7000 is a new generation DSLR that sits between D90 and D300s, which can be classified as an “semi-professional DSLR”. It features a brand new sensor from Nikon, which has been specifically engineered for the Nikon D7000 and possibly other upcoming cameras. The Nikon D7000 is the second camera announced this year by Nikon with the new Expeed II processor, allowing faster image and video processing up to 1080p (the previous Expeed processor could not handle more than 720p video). The first and the most important difference between the D7000 and D90 is the sensor. Nikon D7000 has a 16.2 Megapixel sensor, while the D90 has a 12.3 Megapixel sensor. The new sensor on the D7000 also has different specifications – its ISO range is from 100 too 6400 in native mode and up to 25,600 in expanded or “boost” mode, while D90 goes from ISO 200 to 3200 with a boost to ISO 6400, a difference of one full stop in native and two full stops in expanded mode. Base ISO on the Nikon D7000 is 100, while it is 200 for Nikon D90. The new Expeed II processor on the Nikon D7000 is capable of full HD (1920x1080p) @ 24 fps (frames per second), while D90 can only go up to 720p (1280x720p) @ 24 fps. D7000 can also shoot 720p at 30, 25 and 24 fps and 424p at 30 and 25 fps; Nikon D90 only records video at 24 fps. In addition, the D7000 can capture movies continuously up to 20 minutes, while D90 is limited to just 5 minutes. Nikon D7000 has a better construction with top and back covers made of magnesium alloy, while D90 is plastic. Nikon D7000 has a 100% viewfinder coverage, while Nikon D90 has a 96% viewfinder coverage. Nikon D7000 can take the new SDXC cards with capacities larger than 32GB, while Nikon D90 is currently only compatible with SDHC cards up to 32GB. Nikon D7000 comes with a new TTL exposure metering with 2016-pixel RGB sensor, while D90 has the older 420-pixel RGB sensor. Nikon D7000 can shoot up to 1/8000th of a second, while D90 is limited to 1/4000. The Nikon D7000 employs a dual slot SD storage system for writing, while Nikon D90 can only take one SD card in a single slot. Weight-wise, both weigh about the same, with the D7000 being slightly heavier by about 70 grams. Nikon D7000 shoots images faster at 6 fps, while D90 shoots at 4.5 fps in continuous mode. Size-wise, both cameras are almost exactly the same, with the Nkon D7000 measuring 132x105x77mm versus 132x103x77mm of D90. When it comes to AF system and focus points, Nikon D7000 is superior with 39 focus points and 9 cross-type sensors, while D90 employs 11 focus points and only 1 cross-type sensor. Nikon D7000 has a lot more White Balance options for more accurate WB control than D90. Nikon D7000 is controlled remotely using MC-DC2 cable via the GPS socket, while D90 can be controlled with the ML-L3 wireless infrared remote control unit. The price difference between the two cameras is significant – Nikon D7000 is priced at $1,199, while Nikon D90 price has dropped to $739.95. In summary, which camera is superior? In terms of features, it is clearly the Nikon D7000 that comes packed with new features such as: new generation Expeed II processor, higher megapixel sensor, better high ISO performance, better video capabilities, superior AF system, dual card slots, 100% viewfinder coverage and faster speed. But then the price difference between the two is also significant. 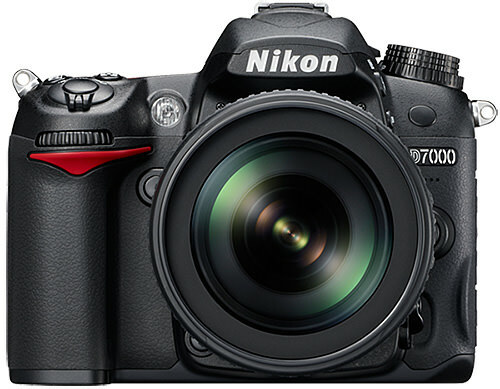 On top of that the Nikon D7000 is also a higher-class camera, so it is supposed to be better than D90 – that’s a given. Which one would I recommend? If you have never used a DSLR before and have some budget limitations, I would go with the Nikon D90, since it is a great value given its current price. For the current price difference of $460, you could add the superb Nikon 50mm f/1.4G or other great lenses to your photo bag. Remember, a lens is always a better investment than a camera body. The Nikon D90 was introduced at $999 retail and it has significantly gone down in price. The same thing will happen to the D7000, which will most likely drop to sub-$1,000 in about two years (and even less for a used body). Lenses keep their value much longer and the lens you buy today will serve you well in the future. As my good friend used to say “good glass is to keep”. Now if you already have an older camera body like Nikon D40/D60/D80 and you are looking for a new camera to upgrade, I would recommend to go for the Nikon D7000 instead. You will certainly appreciate all the new bells and whistles and the high ISO performance will look stunning in comparison. Obviously, for those who shoot video, the camera of choice is obviously the D7000. And to all current D90 owners who are thinking of upgrading to D7000 – unless you have some specific needs, I would hold off on upgrading to the D7000. The D90 is still a superb camera! #8 is incorrect, the D90 has 420 pixel sensor, the 1005 is on D300 and higher models. Rahul, thank you so much for correcting me – I fixed it. I hear some complaints in some corners about hot pixels on the D7000, and couple of reviews/claims that the high ISO image quality is scarcely improved over the D90. Have you heard any of that ? DxO rates the 7000 sensor higher, so it’s contradictory news – maybe manufacturing inconsistency ? I hope Nikon does release some firmware updates that unlock or add some worthy enhancements like better shooting speed, more bracketing range and SDXC compatibility you spoke about ; I’m one of those poor fools who got a D90 after the D7000 was announced ; but my upgrade would likely be the D8000 :) . I have also heard some complaints about some back-focus problems on the D7000, but it seems like only a small batch of people are affected. Hot pixels are a fact of life and every camera I have used in the past has them. Gladly, Lightroom easily removes them, so I don’t worry about them at all. In terms of high ISO performance being slightly better than on D90, so far from the image samples I have seen, it looks like the difference is at least one full stop of improvement to me (meaning ISO 800 on D90 looks as good as ISO 1600 on D7000). Realistically, it is probably a smaller difference, considering the number of pixels on the D7000. And yes, there is a big manufacturing problem with the Nikon products lately…especially with lenses and cameras. Lots of sample variation. And I don’t think you have made a bad choice by buying a D90 over D7000 – the D90 is a phenomenal camera and given its current price, a great value! Yes the D90 is pretty good and I’m not suffering from buyer’s remorse – I knew about the D7000’s rumoured ISO and FPS performance and other specs and estimated the prices would be too high for me when I got the D90 ; but technology keeps raising the bar and the D7000 is a higher segment camera, so I do sometimes think about what if …though I wouldn’t have bought a D7000 because of its price at present. I know the D90 has best price/performance ratio as of now (arguably some would pitch the D3100 ). I did notice the 1 stop difference from samples on imaging resource. How much better is a full frame vs DX in ISO performance , 2-3 stops ? Yeah the D7000 definitely has focus issues. I’mm considering selling mine and getting a D90. All the fancy stuff means nothing if your photos are all blurry and soft. It’s an odd thing too because i also own a D600 with the same focusing system and use the same lenses and the photos are tack sharp with the D600? Fool? The D7000 is a great spec but it’s double the price of the D90 so it damn well should be! I don’t think you’ll be disappointed with the D90 it’s a solid performer. iam about to buy a dlsr.confused between d90 and d7000.budget is wat makes me think between the two.what would you reccomend since d90 seems to b a older camera now iam confused. The D7000 is a better camera than the D90, but it is priced around 50% more as well. Decide if the D90 is sufficient for your need or not. 1. Do you need faster frame rate than the D90’s 4.5fps ? 2. Do you need wider lens support, if you have or intend to get older lenses ? 3. Do you shoot lot of moving subjects, that need better autofocus ? 4. Do you shoot a lot in low-light/night ? 5. Do you need weather sealing ? All the above 5 are the major advantages of the D7000 over D90. I have same question in my mind as deepu, and your guide make me clear where should I start my investment vs leaning photography. D90 is best start after do lot’s of Google research. Please advice D90 with Nikon 35mm dx lens is good choice? The reason I chose 35mm DX lens rather than kits len “18mm-55m” is because most of forum asked me to go with this lens as good for Portraits pictures. The 35mm f/1.8 is a very good lens but you will miss the flexibility of a zoom. I suggest you spend some time in camera shops with a camera and 18-55mm lens set at 35mm focal length, to determine if that focal length is suitable enough for most of your shooting conditions. Since you mention portraits, 35mm may be a bit short and you may want a 50mm f/1.8 to shoot from a little farther. Is it possible for you to address the Hot Pixel issue going on with D7000. I really want to buy D7000 soon. But I’m afraid I might get a Camera with Hot Pixel. hi, nasim, once again, thank you about ur review. when i starting my plan about buy a new DSLR, i was choose D90, and i change my choose to the bew Nikon d7000. i heard some blog and forum on the other website talking about about the new Nikon will comming next year [like nikon d80, d400x….]. should i wait for the new camera or buy the nikon d7000 now. There will be new cameras every year, every few months; how long will you wait ? You won’t be clicking anything without a camera, so why not buy what’s available now ; even if they announce a new camera in January they may not ship until April. No, not wrong at all; it looks like the D7000 has just about every other crop sensor DSLR beaten in IQ. Dear Mr. Nasim, I happened to choose your web by chance when I was doing some research on the lenses for D7000. I read some of the comments and explanation on D7000 and the Nikkor lenses which I find it VERY USEFUL in helping me choose my lenses. I was using a semi-Dslr (Canon) for the past few years and just upgraded to Nikon DSLR for the 1st time and having to read the manual. Thank you so much for you concerted effort in posting your research for us. Your web will definitely be a must to read and follow-up especially on those lenses. Having said that now that I own a D7000 and read so much about the AFS 24-70mm f/2.8G ED, which I realise this lens is not compatible with the D7000, is there a similar len that I can use for the D7000? The AF-S 24-70 is very much compatible with the D7000, in fact with every current Nikon DSLR. Jeanne, I suppose what you may have heard is that the 24-70mm, although compatible, may not be very suitable for Nikon DX crop sensor cameras (which the D7000 is). The 24-70mm is an outstanding lens but its operating range for DX cameras is very odd, since 24mm isn’t wide enough and 70mm isn’t long enough. Add to that the fact that it’s pretty bulky. If you have the money to spend (and I suppose you do, since you’re considering the 24-70mm) but don’t plan to switch to an FX camera anytime soon, I’d recommend the Nikon 17-55 f/2.8 instead for lesser. It has lesser reach than the 24-70 at the telephoto end but is comfortably wide at 17mm. However, if you’re just starting out but still want to take amazing pictures, you could consider my favourite, the 16-85mm f/3.5-5.6. It offers an amazing image quality for a LOT lesser. Oh btw, I am from Singapore. How I wish new Nikon DX models will also introduce crop factor of 1.3. Hi Mr. Nasim.. i’ve doing some reading here and there about this Nikon D7000. Some sources even said this is the best DX Camera Nikon ever made. What i’d like to know is, how big are the differences if D7000 compared to FX? An FX camera has significantly larger sensor area than APS-C, it will take a few more generations of sensor evolution to match current FX performance levels in terms of noise & dynamic range. D7000 high ISO images are not as crisp as D3 images. NR is good, details not much. Nasim, If a person doesn’t need or want video, but does want a full frame sensor, would the D700 (not the D7000) be a good choice? Its been out for over 2 years now but apparently takes very clean images and is for all intents and purposes as pro level camera. I own three FX lenses (50mm 1.8, 105mm 2.8, 70-300 VR) and have contemplated upgrading from the D90 to the D700. If one waited until the D700 replacement is released, the D700 might be available on Ebay for a good price. What are your thoughts? That sounds like you have everything figured out ! I have seen some clean high ISO images from D700, I’d love it have one if I could afford it , though I’d say the same about the D3S ! I don’t expect a significant drop in price though , the D90 price has been constant for while and did not change even after the D7000 arrived. I ordered it this week with the 24-120mm zoom. Brent, D700 will probably drop in price when D800 comes out, but not too much since it is a terrific camera. I don’t expect Nikon to release the D800 until next summer, so your purchase should be safe for at least 6-9 months. And once you try the D700, you will understand why there is so much talk about it…I love mine and will probably use it until it dies. It is currently sold for $2,350 at B&H, which is a terrific price, especially with the additional $300-400 Nikon is giving away when you purchase more lenses. If you use the $400 discount, that’s a full frame camera for less than $2K! I wish I had this deal when I bought mine, since I paid $2,999. If you take a look at the specs : isn’t it what we expected from a D400? just in a smaller body? Nah, there is no perfect camera , not even D3S :) forget D90 ! Hotpixels is certainly hardware, but the rest of the problems seem like they could be fixed by firmware , and I expect that form of damage control soon. But you’re right otherwise, this camera beats the D300S on all but fps, AF performance and weather sealing. Not a huge trade off for the ISO+resolution gain, though AF is still one area pros or those very particular about IQ would choose D300S over D7000. Bombay, the base sensitivity of D90 is ISO 200, not 100. First of all, I have just stumbled upon your website searching for ‘lens reviews’ and like many others, I have become addicted to visiting this site daily. I am a business school professor and will be a new comer to DSLR world. I am increasingly becoming interested in photography especially when our first son is now about 7 months old. Unfortunately, the retailer(a very reputed store) I bought my camera from seems to have sent me an open box and has readily agreed to replace it. Meanwhile, I started reading about different photography related articles on this site. While I await my replacement, I am having second thoughts. Does this represents an appropriate usage of money being spent? Basically, I had prepared an budget of about $2000 for photo/video for personal and family usage. This is stretching my budget a bit but if someone like you thinks that this will be a smart spending then I would go with that. After reading about photography tips on your site in particular, I have started playing with the camera and am able to understand many things. It is taking a lot of time but I am on a good start. Would you recommend any changes? Any other combinations? Say, save money with D90/D3100 and eventually progress to Full Frame in next 2-3 years or so. D90 is $920 with 18-105 or 740 with body. But the $200 off on 10-24mm is not available. I can still add 35 and (70-300 VR) and SB-600. A combination with D3100 would be 600 (with 18-55) and 35mm + 70-300 + sb-600 = 1330. This leaves me with a savings of 870 (D90) or 1190 (D3100) that I can use to upgrade/add lenses or keep aside to move to full frame that much earlier :). I’ll be shooting for 50% time indoors (family and friends’ homes) and 30% time travel/picnic/outdoors with family and 20% (nature/land scape etc…). I go for lot of hiking but still don’t think about BIF, flowers, insects, etc will be my interests. This is a very long post and I am sorry for this but hopefully many people would benefit from your inputs/thoughts on this. I am aware of your time constraints and the fact that you may not be able to revert back soon. Just for your information, this prices will remain valid for another week only. If your budget isn’t too tight, the D7000 is the best of the lot. But if the extent the budget has to stretch to get the D7000 is a problem, get the D90 , it will get you familiar with controls better than a D3100. Also , if you’re not going to shoot birds/wildlife, you can skip the long focal lenses and get a flash instead as you will be shooting indoors quite a bit and the extra remote flash might be more useful to you ; or use it to get better lenses or just put it aside as saving or for the FX budget. Daya, I agree with what Rahul said. D7000 is the best DX camera you can get at the moment. If money is an issue, get the D90 instead. Otherwise, the items you purchased are all very good! Thanks Nasim. I’ll stick with my order then. Looking forward to reading photography articles on your site in the coming days/years :)). By the way, I just finished reading ‘landscape photography’ article. An awesome informative piece!! Now, I guess I’ll have to decide about the ‘filters’ stuff !!! By the way, all the above lenses have not come with any filters. I am thinking about adding ‘Tiffen’ UV filters. Would you advice something else? Again, many thanks and have a terrific 2011! Daya, looking the lenses you’ve ordered, i don’t think going FX is a good idea for you considering 10-24, 35 mm is a DX lenses. These lenses will be half useless in FX formats.. I agree with Reimon – your DX lenses will only work at half resolution on FX. I read on a couple of sites and especially Thom Hogan’s comments on DPreview forums that 10-24 on FX can be usable from 16-24. And, some sites and flickr forums have examples of 35mm being used on FX body. It indeed has vignetting but at f 2.8 and low light or close ups it seemed liked workable. I am not sure though about all these things. I am genuinely reading a lot in last month and trying to understand as much as I can. Also, I am indeed talking about 35mm 1.8G on FX and not 35mm/ 2 AD. Sorry for such fractured postings. This is also my first time interacting on any internet forums whatsoever!!! Daya, definitely get some filters for your brand new lenses. Tiffen is a good brand, just make sure to get their MRC UV filters (multi-layered coating). Daya, what you have is good enough – don’t worry about lenses too much! I am looking for buying tripod, bag, ND filters, memory cards, SB 600 etc. I read your articles but am not able to see any buy links from your site to other retailers for such things. I really would not mind buying through this site if it helps in any way. Also, do you have any tie-ups with amazon? Daya, I have plenty of links here with B&H and Adorama and if you buy through those links it certainly helps (especially to get more gear to test). Here is my “must-have DSLR accessories” article with plenty of links to B&H. Just click on any of those links and buy your stuff and it should register. I am not registered as an affiliate with Amazon, because their prices are typically higher than those of B&H/Adorama. If you want to buy from Adorama, you can follow this link. Hi, Nasim. I just stumbled on your web site doing more research on the D90 vs D7000. Here’s a question that I never see anyone ask so I thought I’d ask you. What about the big difference in the number of user-selectable scene modes between the two (I think it’s 19 on the D7K vs. 5 on the D90)? It’s been 20+ years since I shot an SLR and I’ve been using a Fujifilm bridge camera since 2004. Since this will be my first DSLR (and not having anywhere near that many scene modes on my Fuji) , I was wondering if having the additional modes available on the D7K would be an advantage — and also add to the fun factor of shooting. Or would they just be a crutch? Thanks for your thoughts. Scene modes are nothing but weighted presets , the program modes select some settings with greater weightage than others – like selecting high shutter speeds in sports mode, and raising aperture and/or ISO to keep the shutter speed high enough like not let it drop under 1/500 , or use a high aperture in portrait mode to get the bokeh. As such, experiences shooters and hands-on photographers don’t bother with scene modes at all, simply use P/A/S/M modes that offer greater control. So scene modes are not an advantage IMO. I understand what scene modes are (presets) and that experienced shooters would likely never use them but as a beginner in the “true” digital SLR world (more than point and shoot), that’s what I’m asking – can they useful or are they likely to become too much of a crutch and therefore I shouldn’t base my selection between the D90 and the D7K on that feature? Well put that way, I’d say it’s still not enough of a factor to outweigh any other, and the D7000 has so much going for it over a D90 than scene modes. Would they become a crutch ? Perhaps yes if you used only scene modes all the time and never ventured into manual controls (given your prior film shooting exp I think that won’t happen) ; though scene modes are also a good starting point if you want to get a rough idea of what settings to use in manual modes under the circumstances and aren’t willing to use the exposure indicator. Barb, the scene modes should be the last thing to look at when comparing cameras :) You will quickly learn how to use a DSLR and don’t worry, you don’t need any of those modes, since the cameras already have an “Auto” mode that you can use similar to a point and shoot camera. Barb, like Rahul pointed out, all those scene modes are just presets to make it easier for people to use the camera. Once you learn the exposure triangle, you won’t need those presets at all. I personally see no value in camera presets. I am very close to by my first DSLR, well also first SLR, well a real camera :-). Its going to be a D7000 ( or d90 ). I want do do it correct first time because I dont have money to make a mistake and after go out an buy another camera. So I must say that get a littel cold feet regarding to the D7000, and then thinking again on the D90 because it have been on the market som years now. But I would like the newest model offcourse. What probblems is it that Nikon have regarding defective bodies? and is it mostly the D7000 with the problems? My set up I was recomended to buy as a beginner was: D7000 with Nikkor AF-S DX 35mm f/1.8G or a D90 with Nikkor AF-S DX 35mm f/1.8G. I sold my D7000 via Ebay; Now I am on D700 and very happy again. but one issue is open and may not be fixed via firmware. The accuracy of the autofokus system with lower contrast and indoor situations. had a lot more mis-focused pictures then with the D300; And very often I was sure that the focus was feedbacked as recognized by the cam as I did the shot. These 3 issues show me – there are a lot great features built in D7000 but I miss some maturity. and he got the same results : a lot of indoor shots were not focused correctly. Either way, both D7000 and D90 are both great cameras and the 35mm lens you were recommended is superb too! Every reviews a seen say that d7000 is a much better camera then D90 and D300/s, but they dont talk about the problems som have with the D7000. So now I am a littel afraid to give so much money for the D7000 if I am going to have problems with it, also I am a beginner so I don’t know if I would know that “my new d7000” have the problems, because as I am new to photo how should a be abel to se the problems? I can buy the D90 and be sure that is works or the D7000 and maybe have problems with it. Ot the D300S has just come on sale to 1199 euros for the body where I can buy the D7000 for 1030 Euros. The D90 cost now 640 euros for the body. But the D300S is a littel big. so D90 to start is a very good starting point. Yes your not the only one who told me that maybe just stick with the D90. To get god photos with the D7000 I need to have a very good tecknic.. So the D90 with the 35 mm 1,8 lens would be a good combo for a beginner you would say? I think that is a good choise I made, i hope so. Congratulations with your purchase! D90 is a phenomenal camera, you will love it! I fell in love with your website when not too long ago I was researching the D7000 since Ive had to repair my Nikon D90. Ultimately, I purchased just the body of the D7000 and have been on your website reading up on many techniques you post. Most recently and this also occurred several weeks ago, when I manually flip open my pop up flash, im resting my camera getting ready to shoot a picture and all of a sudden my camera makes this long hissing noise with the flash suddenly illuminating. This was happening when I was taking pictures of my daughter’s first reconciliation (Confession) at the church. It was so noticeable that everyone was wondering what that unusual noise is coming from. I immediately turned the camera off then on. I know you’re still not feeling well and you are due to send out another blog on the Nikon d7000 and d3100, so I was wondering if this has happened to you or anyone else with the d7000. I still have a one year warranty, but thought I may get an insight of this problem here before exchanging it. Your comments and advice are greatly appreciated. I made sometimes the same observation, but taking the cam in my cam I pressed the button under the flash helper light near the grip; then the flash started immediately to strobe for a preview reason. This endures is about 1-2 seconds and due to the strobe the flash sounds like an high electric tension. Im hoping that may be the case as ive never experienced this with my Nikon d90…there are so many options on this nikon d7000 that in the midst of me taking photo’s of my daughter, I dont realize I may be pressing a button and activating an option that im not aware of… Ill continue to see if this happens but im reassured that this is not a technical malfunction. I didn’t exactly get the scenario , but it seems you’re implying that the flash fired by itself even though you had put the camera at rest, with both hands off the camera controls ? If you’re not using the timer mode and pressing the shutter button all the way and assuming there’s no one using a remote trigger, this should not happen at all. The hissing sound is all the more suspicious, and it could mean a faulty flash capacitor that discharges without flash command. Thanks for your input too. Its been a while for me to remember if I was actually hands off with my camera. Usually unknowingly I keep my fingers on the shutter button but if im trying to quickly adjust my aperature, i mistakenly change my shutter and so my fingers do tend to wander off and my activate something that will trigger that flash “phenomenon”. Im sticking with Karl’s reasoning above on my unusual noise. Thanks . I do appreciate the opinions from this site. Myrna, I apologize for a late reply. I agree with Karl – I believe you are just getting the normal flash sound. Don’t forget, when you are in dim light situations, your camera will instruct the flash unit to fire with maximum power. More power means more flash sound, especially when the flash fires at full power. If you want to avoid such behavior, simply turn off Auto ISO and set your ISO to something like 800 or 1600. That should lower the amount of flash power fired. I currently own a D80 and I’m planning to upgrade it to either a D90 or a D7000. But the problem is hot pixels in D7000. I know D7000 is better than D90 but when I view some full size images, I can’t see the clarity and sharpness on D7000 when compared to D90. I upgraded from a D80 to D90 last year and very happy with it, it gives better detail in the high lights and about a stop extra in low light and I like being able to see the ISO setting in the viewfinder. Faced with the same decision I would go for the D7000, it has so many better features compared to the D90 as well as improved existing features. However, the D90 can be bought for a good price now and the fact that there have been no firmware updates for it since it was introduced tells you how good it is! So, as always it comes down to how deep your pockets are. The price of the D90 that you provide a link for is actually about $900, more than you stated above. An issue that I have had in deciding between the two models is the price. Does it make sense to buy a NEW D90 at this point? And what would be the recommended zoom for either if you didn’t purchase the 18-105 kit lens? If budget isn’t your issue, skip the D90 and buy the D7000 instead. while on D90 i couldnt bear the noise at 2,500 and above. now my D90 sit as my 2nd body, paired with fast lenses only. and mainly use D7000 as my main camera. also, considering the price $820 (D90) vs $ 1,170 (D7000) according to my local camera store (July, 6th), the feature that D7000 offering are more than $250. I’m Deepal, from Sri Lanka. I read you’r comment. I’m tring to buy D7000. Tell me between D90 & D7000 Image quality. I’m read all comments. I’m warry about D7000 disadvantage. Tell me anyone wich one the best for wedding photography (outdoor & indoor)…I’ll waiting your posts. i’m going to buy my first DSLR and i’m undecided if which DSLR would satisfy me. Is it the D90 or d7000? As of now, in terms of budget, i can afford the D90 and can stretch it to my last money to afford the d7000 but the D7000 specs is still good versus the D90. What DSLR can you recommend for me who is a beginner for photography?? Eric, get the Nikon D7000 – D90 is no longer in production. Hello,I have a D90, 18-105mm, the 50mm 1.8 and the 85mm 1.8, would i need to change my 50mm 1.8 for a 1.4? I mainly shoot portraits and have done weddings for friends and family on tight budget. what other lens should I add to my bag? Money is an issue to go for FX in a near future. I am also planning on going for a D7000 or D300s. Please recomendations. My 18-105 i used it for convinience on vacations and family outings. Arlene, if you are happy with what you have, why bother changing it? I don’t think you should add any other lens to your bag, since you have lenses that cover the wide angle and portraits. Just shoot with what you have – no need to waste your money on stuff you don’t need. I was considering the d7000 b/c of the auto-focus points plus is the new thing everyone is buzzing about! I wanna check it out too :). I was considering something on the wideangle side with a f stop of 1.8 or 2, maybe the 24 or 35mm. I dont think the 18-105 is good for weddings its not ideal for low light, thats my untrained opinion, I am happy with what i got but theres always room in my bag for improvements! Please correct me if I am wrong? First of all thanks for such a great site! point where his shortcomings are being more & more noticeable. While my D60 has getting the job done I’m aware of his limitations. That been said, I’m still unsure whetherto get the D90 or go for the D7000 (budget is an issue). I have a D90, one of the 1st ones released about 3 years ago, and generally, I would say really a great camera for non-professisonals, really not bad for some kind of photography, like portrait or landscape, but not the best peformer e.g. for macro, my main interest. Was thinking of switching to D300(s), but, actually that’s quite the same techology, the same sensor with some little improvements in camera build and software. When checking the image quality, which can be measured by resolution/sharpness and ISO sensitivity/clearnes I can see very significant price difference but small improvement in terms of image quality. In order to get the best clean pictures I use ISO 100 whenever I can. This is a must for macro, anyway. Now, when feeling the limitation of D90 was excited about the D7000, which is reported to be the best DX Nikon camera at the moment, but still under positioned the DX-pro 3 years old D300. By the tests and reviews I understand D7000 is a little bit better in terms of picture clarity by 1-2 stops better ISO sensitivity, which could have been even better with current technology by staying at 12 MP istead of using a new 16 MP sensor with smaller, therefore more noise-producing pixels. Not to mention the operational issues reported about D7000, which had a firmare upgrade already. Funny, that the old D90 still has no FW upgrade and performs quite solid (however no-AF at video capture, which should have been fixed so far). So, finally, when I read those exhaustive reviews the general recommendation when asking “should I upgrade my D90/D300 to D7000 now?” is in most cases ‘no’, as the extra services you get do not worth the price. Comparing the image quality and performance of the cheapest FX D700 to any DX camera including D7000 still look like comparing the sky to ground, or a Formula 1 car to any street car you drive. I really wonder the D800, as a result of the pixel race with its awesome 36 MP resolution. Afraid, due to the very high resolution sensor paired with higher default noise finally it will not be a big jump from D700, (I wish I fail on this…) however, D700 owner pros will feel the need of upgrade to the new release. Already have 2 FX of my 4 lenses (105 mm micro nikkor VR and 70-300 VR, which are about to OK on DX, but perform much better on FX body by tests like DxO labs), so heavily thinking of getting 2 FX primes like a 20 and a 50 mm ones replacing my current DX wide angle and standard zooms (which are heavily fringing due to floating elements…) and get a second-hand D700, which together with the primes looks a much better deal comparing to waiting for a D7000 upgrade, which is free of those defects reported, and also free from the DX noise (which is actually cannot be compared to the compact cam’s noise, but still hurts for those have high expectations on image quality). Nasim, highly appreciate your opinion. Hi there, fantastic work. I really enjoy reading your reviews. However, I have a very small correction to make. On point #16, you say the D90 cannot be controlled by the cable shutter release (connected to the GPS slot). The D90, in fact, can do this, as I usually shoot my D90 with the cable shutter release. Please keep up the fantastic work! I have used film-type SLRs since I got my first one in Vietnam in 1967. My wife gave me a Nikon D7000 for Christmas last year, and, boy, what a learning curve from what I had been using! To help with that, this year she gave me a book by Darrell Young. Inadvertently, the book was “Mastering the D90” not the D7000. Are the controls of the two cameras sufficiently similar that the book will be useful, or would it be better to return it for the D7000 book? Thanks in advance for your response, and Happy Holidays to you and yours! really good reading… nice stuff! I use D90 last 3 years. D90 is very good performer. i used D7000 its good, but i love my D90. Sold my D90 (for $235) when i got my D7000. After 2 years, looked for and bought a second hand D90 (for $160).